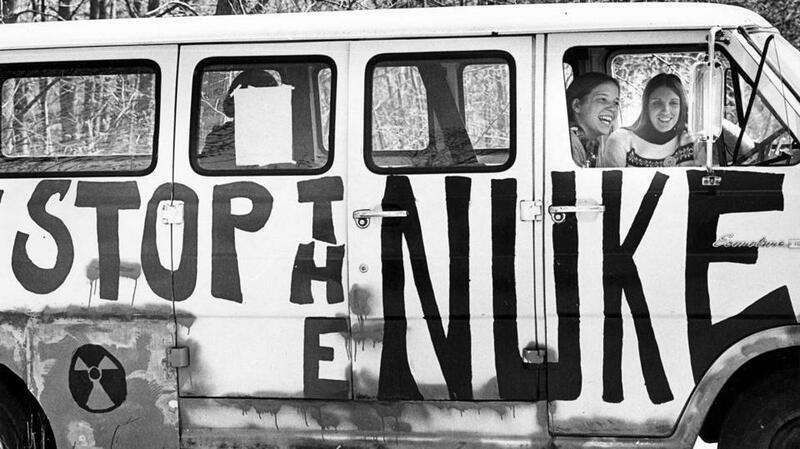 A van used as mobile headquarters by the Clamshell Alliance, an anti-nuclear organization, to protest the Seabrook, N.H., nuclear plant at the plant’s construction site, on April 28, 1977. Analogies to Richard Nixon going to China tend to be overused. But here’s one that’s the real deal: On Thursday, the venerable Cambridge-based Union of Concerned Scientists issued a report on nuclear power endorsing measures to keep financially struggling nuclear power plants alive to combat climate change. They aren’t the first environmentalists to reach the same conclusion, but it’s a convincing report — and, symbolically, a really big deal. The group’s name is practically synonymous with skepticism toward nuclear energy, and it played a leading role in the fights against nuclear reactors in New England in the 1980s. In the report, the group outlined a hard truth about the future. With climate change accelerating, as a new UN report underscored, the time to be fussy about how to reduce emissions has passed. Most of the state’s zero-carbon electricity comes from nuclear power, but the industry is endangered. There is no doubt that nuclear power carries risks, as the Union of Concerned Scientists has documented over the years. Policy makers need to start putting those risks in perspective, though. Yes, regulate plants closely. But don’t let such a massive source of zero-carbon electricity disappear, since it will inevitably be replaced with fossil fuels. Steve Clemmer, the director of energy research at the Union of Concerned Scientists, said in an interview that the group wasn’t suggesting that all US nuclear power plants should be saved. For instance, it doesn’t call for preserving the problem-plagued Pilgrim nuclear plant in Plymouth, which is scheduled to shut down next year. And, Clemmer recommended, any help should be conditioned on plants meeting the highest safety standards, opening their books to prove they really need assistance, ensuring that help is temporary, and providing assistance only as part of a broader clean energy program. 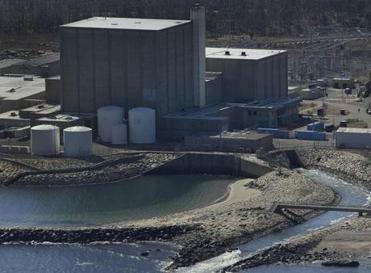 Massachusetts gets a big chunk of its electricity from Seabrook Station in New Hampshire — the plant that the Union of Concerned Scientists, among many others, criticized in the 1980s. That plant is thought to be profitable for now, but the state and the region should have a contingency plan to make sure that it doesn’t fall victim to the same trends claiming nuclear plants throughout the United States. The ongoing woes of the nuclear industry have put a tremendous amount of non-emitting electricity at risk, and the potential to lose those resources could undo the nation’s recent progress in reducing its greenhouse gas emissions. It’s hard to imagine a group with stronger historic anti-nuclear bona fides than the Union of Concerned Scientists — in the same way that Nixon was an anti-communist beyond reproach. Hopefully the group’s climate pragmatism now will carry more weight with nuclear power skeptics and help ensure that states will have the full toolbox they need in the years ahead. The best chance for offshore wind in Mass.